Volkswagen is promising a sharper and more agile driving experience from the new 197bhp and 147mph Polo GTI, compared with the more mature driving manners of the Golf GTI. “The Polo GTi is shorter, lighter and better to drive,” said Volkswagen’s small car line director, Ralf Kölling. “The Golf has performance more oriented to the highway, the Polo GTI is more agile for a really good drive. The shorter wheelbase than the Golf gives the Polo that extra feeling of agility." Kölling and his team have been working on the Polo GTI for three-and-a-half years, helped by the green light from Volkswagen high-ups just six months after work began on the latest Polo. “We decided early in the project that we wanted a GTI version of the Polo and that has helped with having space under the bonnet for the bigger engine,” said Kölling. Power for the new Polo GTI comes from a 2.0-litre turbocharged four-cylinder unit with peak output of 197bhp and 236lb ft. The previous Polo GTI made 190bhp from a 1.8-litre four-cylinder unit. Peak torque is developed with a flat curve between 1500rpm and 6000rpm and is understood to deliver a solid surge of performance in the mid-range. A six-speed DSG dual-clutch automatic gearbox will be standard at launch, with a six-speed manual becoming an option in 2018. “It was a really hard decision between the DSG and manual, but the market is deciding and performance models are trending to DSG,” said Kölling. Top speed is a claimed 147mph and 0-62mph in 6.7sec – very similar to the previous-generation Polo GTI. 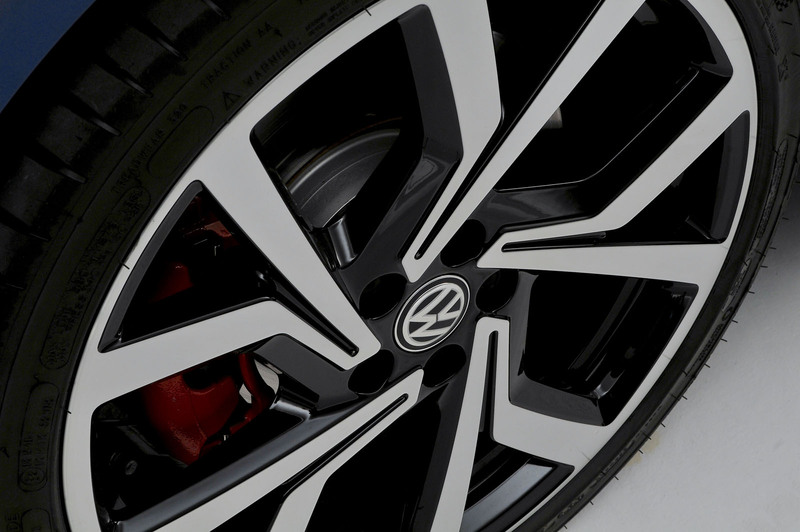 Bigger brake rotors — 312mm diameter at the front and 270mm at the rear — boost stopping power compared with the standard Polo. The basis for the new Polo GTi is a much stiffer five-door body based off VW’s ubiquitous MQB platform and with a torsional rigidity of 18k NM/deg. The old Polo rated 14k NM/deg, 28 per cent less. The Polo GTi also features electro-mechanical steering and an XDS differential lock, which uses the traction control system to limit wheelspin. Other chassis refinements include standard sport suspension with a 15mm reduced ride height, stiffer solid front and rear anti-roll bars of 21mm diameter and uprated springs and dampers. The front spring rates are 31% stiffer and the rears 24% higher, while the dampers feature two selectable settings – Normal and Sport — under Volkswagen's Sport Select banner. 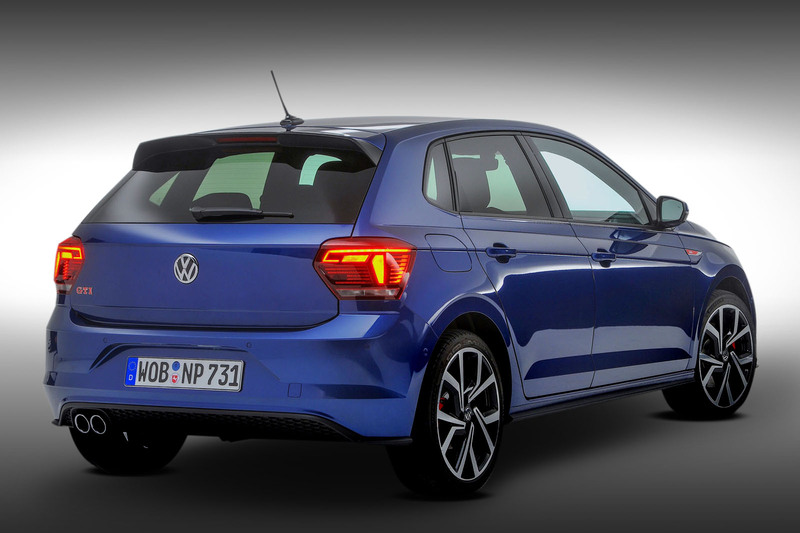 Volkswagen UK is still finalising the final spec of its Polo GTIs ahead of December’s on-sale date, so it is unclear yet whether the Sport Select will be an option or standard. But previous experience with other models, such as the Golf GTI, suggests it will be a cost option. Similarly, UK cars are expected to have 17in alloys with 215/45 tyres as standard with 18ins wheels with 215/40ZR Michelin Pilot tyres (on our pictured car) as an option. Prices have yet to be announced, but are likely to be below £20,000 and competitive with the new Ford Fiesta ST, which will go on sale in early 2018. Some Polo GTI options are likely to be bundled into a Performance Pack. First Polo GTI deliveries are expected in May 2018. To be honest 200ps is fine for todays roads in Britain and now it's bigger at around £20,000 it'll be taking sales off just about everything. Only downside, perhaps a little dull for some but I prefer to call it a wolf in sheep clothing. Very nice overall, restrained style suits my tastes (a Honda Civic is the opposite, and I wouldn't be seen dead in one for example). But, I hope that OTT red trim inside can be toned down. Touch screen also seems to have proper buttons at the side as back up or alternatives which is good. Touch screens need too much dexterity when you're driving. At least the buttons avoid the swearing in a hire car Citroen C3 I had recently. Never seen such a ridiculous place to put the on/off switch, and didn't find it until the morning after. That is a fugly car - it reminds me of an older person trying to be a bit hip and with it with some fancy glasses or something. The interior is naff - clearly an attempt to inject style losing the VW understated quality look in the process. Will weigh too much. Will cost too much. How much money will be to much and heavy will be to heavy? How held back is this! If you thought Porsche held the Cayman back for fear of upsetting the hierarchy then this looks to have trumped that. Just as BMW cannot have the M2 quicker round a circuit than the M3/4, so VW launches this newtered Polo GTI. Come on marketing guys, create a 2nd trim level, strip lots of goodies out, harden it up, let it loose and charge a chunk of money more. The journalists will say 'but you can get the Golf GTI for less money and its bigger and more grown up etc etc' and the lemmings will continue to buy the Golf GTI and the enthusiasts will have their elixir. Alas its not going to happen is it? With this new car being 5 door only, I won't be swapping my current car for the new model. 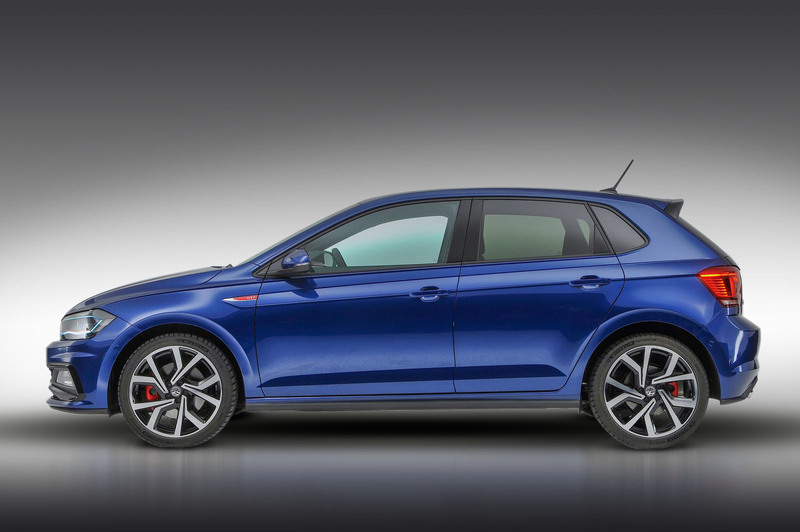 Shame because if the new Polo GTI is anything like the current one, it'll be ace! what possible advantage is a 3dr??? Sure it saves a bit of weight but there is no practical advantage whatsoever.